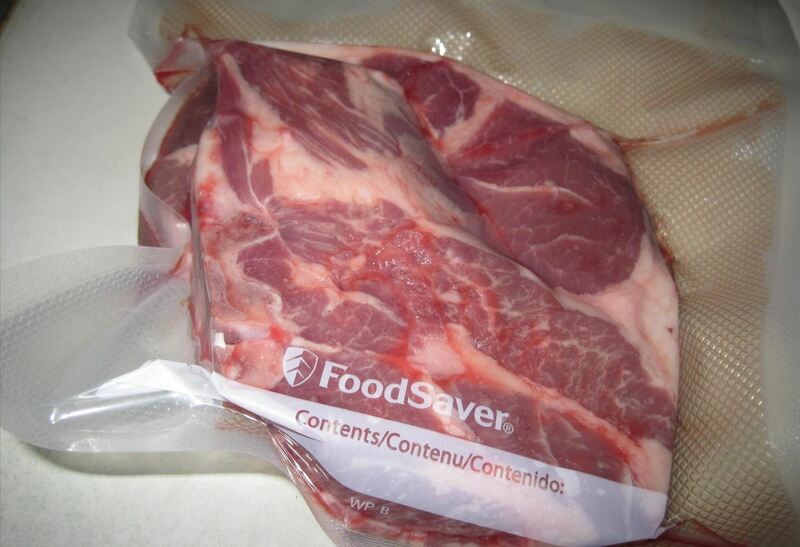 Ever wonder why when you defrost meat, there's all that pink liquid at the bottom of the plastic bag? That liquid is called "purge," and it's not good. What happens is that ice crystals form and expand within meat as it freezes, which puncture the cell membranes. When the meat defrosts, it loses liquid, and therefore, potential tenderness. That's why if you've ever defrosted a steak that's been frozen too long, it has that weird, mushy texture that doesn't bode well for your night's meal. If you were using your freezer correctly, you'd drastically reduce the purge, but not entirely. To do that, you have to prep your meat beforehand so that it comes out of the freezer in as tasty a state as possible. Over at Reddit, user When_Doves_Cry asked if using a common quick-chilling method that folks have been using on beer and soda would work on meat. 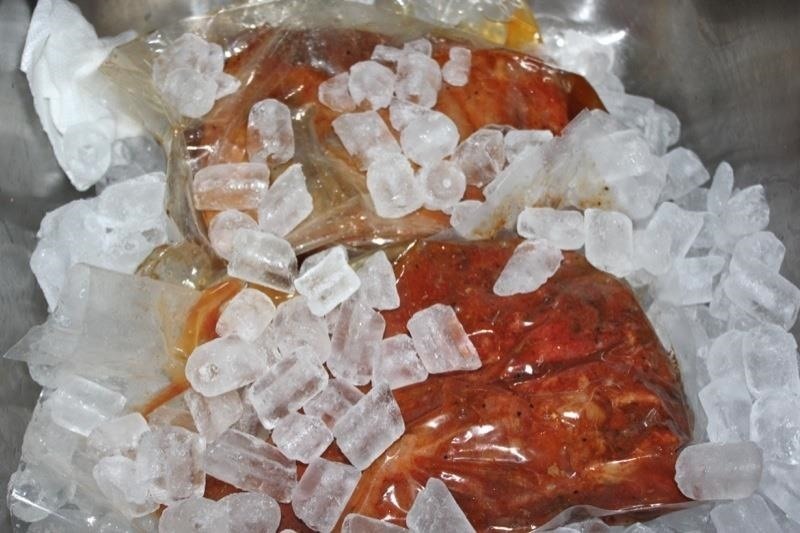 Essentially, you make a bath of ice, salt, and water, and then dip your vacuum-sealed piece of meat in it to get it as cold as possible before putting it in the freezer. Don't be intimidated by the term "vacuum-sealed." That's actually pretty easy to do at home in several ways, one of which is as simple as sucking the air out a ziplock bag with a straw. Scientifically, this idea is perfectly sound. The temperature of the meat will drop rapidly, disrupting the formation of ice crystals, and preserving the integrity of the meat. 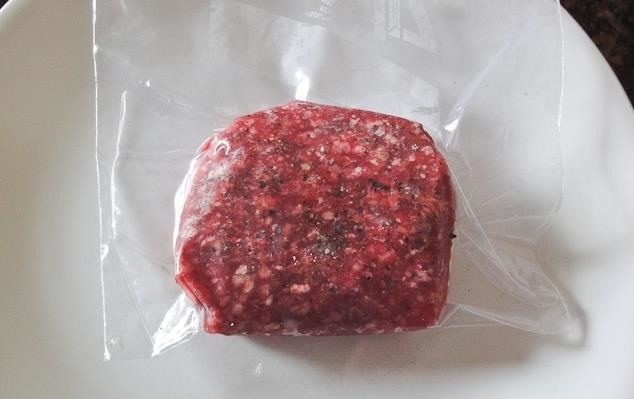 Then you can get it into your freezer where it can be stored safely for weeks or even months. Just remember to defrost it safely—always put the item that needs to thaw in the refrigerator or use the cold-water method. Never leave it out on the counter! You can read the complete thread over at Reddit to learn more. Cold temperatures keep harmful bacteria from growing and also slow down quality deterioration due to growth of spoilage bacteria as well as chemical and biochemical changes. So thanks for these Cool ideas to freeze raw meat.